Description: Landing in 2019! DORSET MOON Fifty years on from the first moon landing, three Dorset arts festivals join forces to bring you Dorset Moon – an exciting new addition to Dorset's summer season. Inside Out Dorset, b-side and Bournemouth Arts by the Sea will present Luke Jerram's internationally acclaimed Museum of the Moon as the centrepiece of free fantastic outdoor events in Dorset. 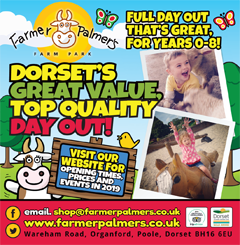 FREE EVENT Please let us know you saw us on What's On in Dorset!